This project has been in the works for quite some time. Up until recently, I have not found a great momentum to promote it. I think now is THE perfect time! 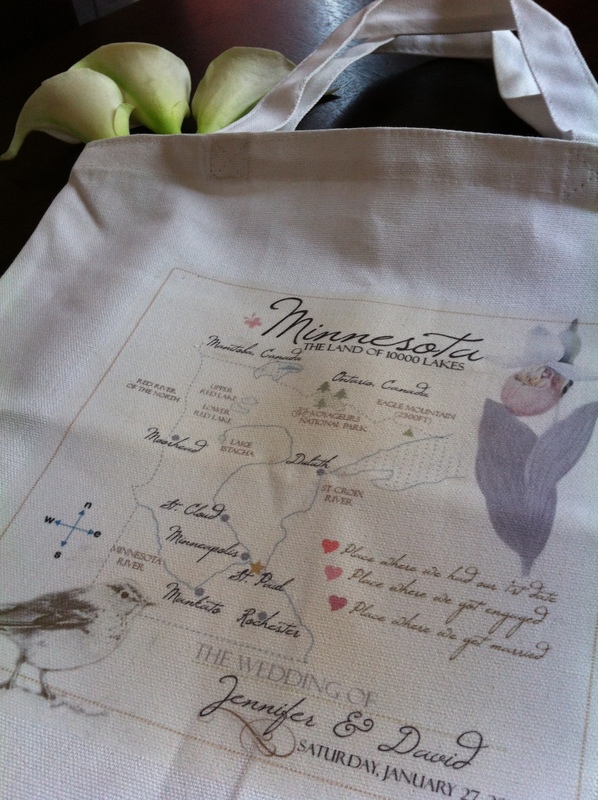 Made from 100% cotton, this tote is a stylish way of your bridesmaids to bring all of their essentials to your wedding day. 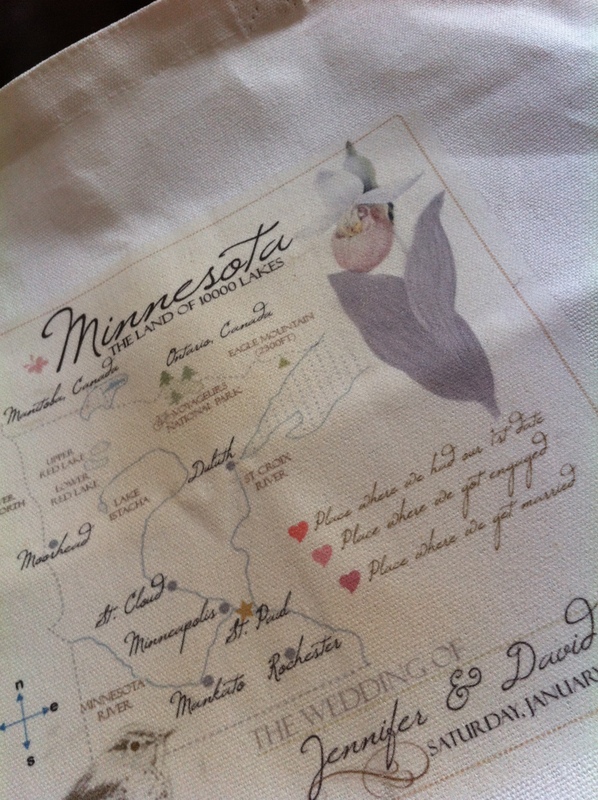 With the Minnesota’s state bird and flower vintage look, you know for sure that your Minnesota wedding will be remembered forever. As far as content goes … it is up to your heart desires what you want to put into this tote. They are your very best friends who have been with you through thick and thin. So make sure you make this special for them! 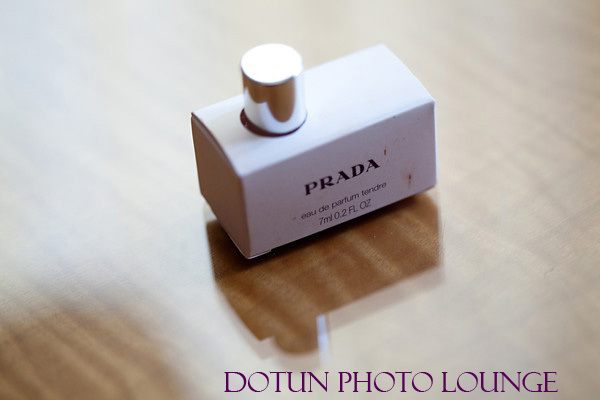 You want them to look good but also smell good! 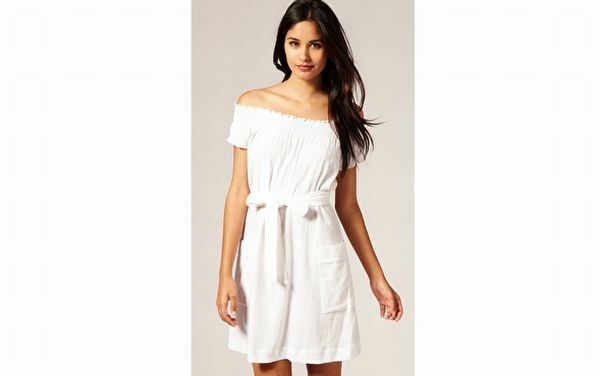 Give them something that they love and that will leave a lasting impression. 3. 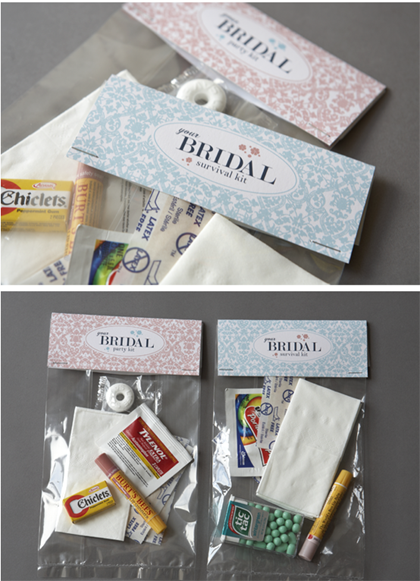 For the practical group, you can always give your ladies the Bridal Party Survival Kit. And for an added personal touch, the creative folks at 100 Layer Cake has created cute, free to download templates for you in fun multicolor polkadots or in pink and blue damasks. * Price at $12.99 per tote. Customization will incur additional charges. 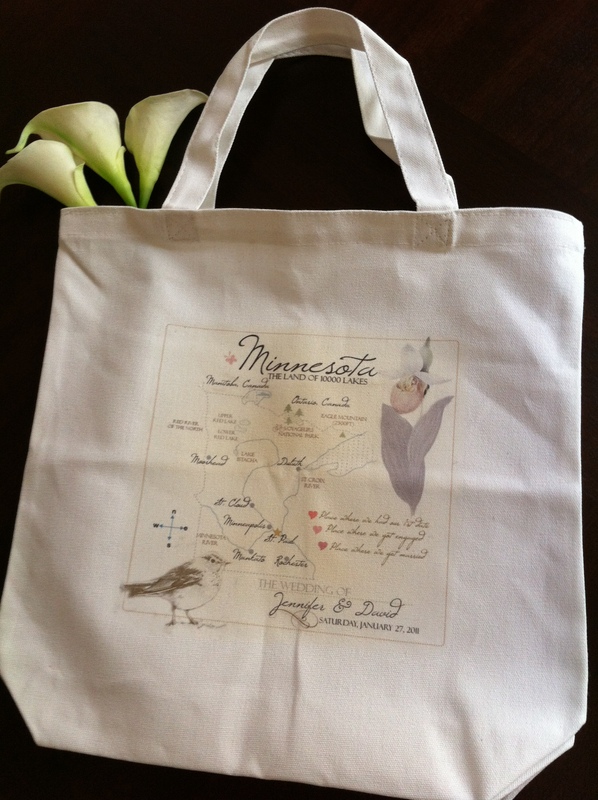 Posted in Lovely Inspirations and tagged bridal show, bridesmaids totes, cute totes, minnesota bride, minnesota out of town bags, out-of-town bags, personalized totes, vintage-inspired Minnesota tote. Bookmark the permalink.